Thinking about getting a tattoo? Or another one, if you already have one (or more). Selecting a tattoo that’s perfect for you can take some time. 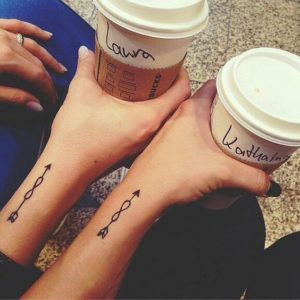 Infinity tattoos have been popular for quite some time. They have meaning and can be designed in so many unique ways it’s no wonder they’re a popular tattoo design. 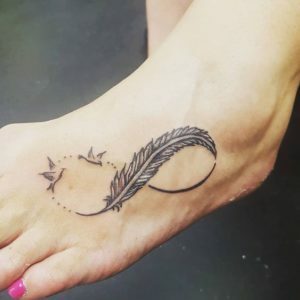 If you’re leaning towards getting an infinity symbol as your (next) tattoo you’re in the right place because we’re sharing some of our current favorite designs to help you choose yours. We hope you like them as much as we do, get ready to be wowed by some of these beauties! 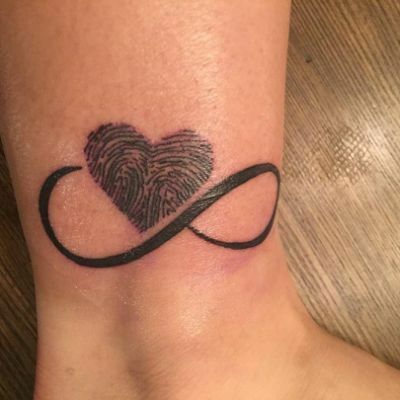 This tattoo is a powerful way to represent someone you love, infinitely. Whether the person or thing is still here with you or not it’s a way to remember them every time you look down at the design. Adding birds often symbolizes the idea of moving forward and not looking back. 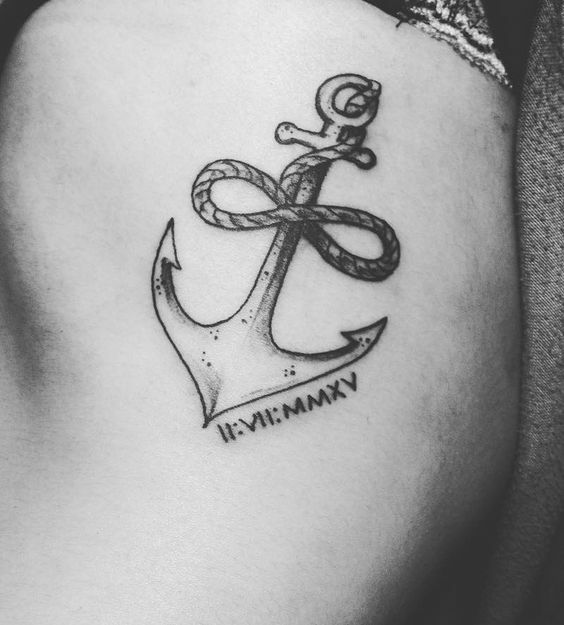 It’s common for a lot of us to feel lost or confused in life, anchors are associated with well…anchoring yourself. Whether you want to feel anchored in a relationship or within yourself in life, it’s a powerful statement to be anchored forever. Add a very personal touch to an infinity symbol by adding a fingerprint of someone you love. This can be the fingerprint of someone who has passed or not. Ultimately choosing someone who holds a special place in your heart. This tattoo is ideal for the person who’s drawn to butterflies. 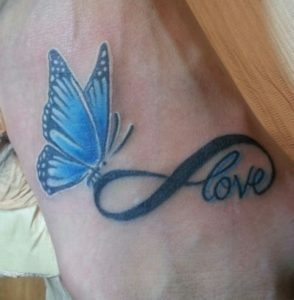 While the infinity symbol holds meaning on its own adding a butterfly can add more symbolism to the tattoo. Butterflies are often associated with growth and beauty. For the sports fanatic this is a tattoo design for you. This particular design represents the love for Chicago Cubs but it can be customized to suit your favorite team. 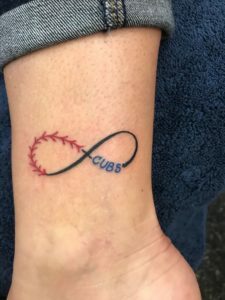 A great way to show your love for the team you’re ride or die for. 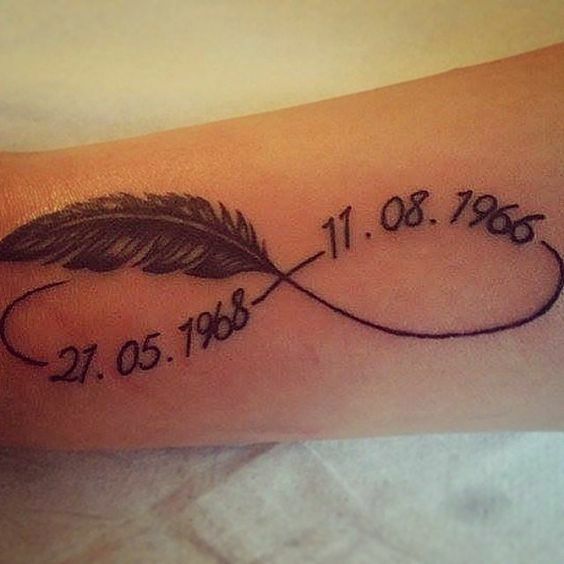 Keep special days close to your heart by adding them to your tattoo design. 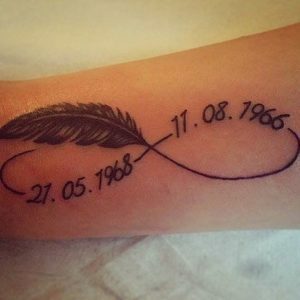 Many infinity symbol tattoos incorporate tattoos of loved one’s birthdays. 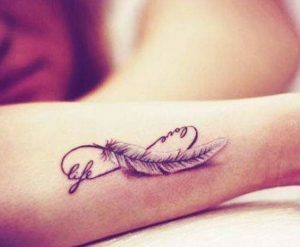 Not only will it be a way to remember the person (people) you love most but also keep it with you forever. The animal-lover’s tattoo! 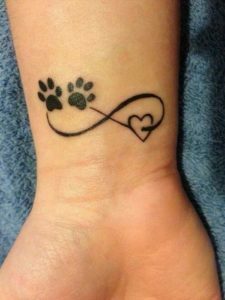 Whether you are seeking for a way to remember your furbaby who has passed or are head over heels for your current pets. 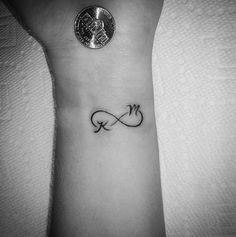 Animals hold such a special place in our heart it makes sense to show our appreciation for them in an infinity tattoo. 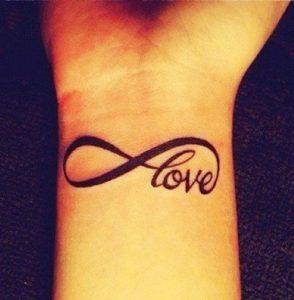 This tattoo helps us to remember one of the most important things we all need to keep in mind: love life, always and forever. Life happens, we all have our ups and downs and it’s so easy to forget that we should focus on the now and appreciate our lives every single day. Keep it simple with your infinity tattoo for a subtle reminder to yourself. 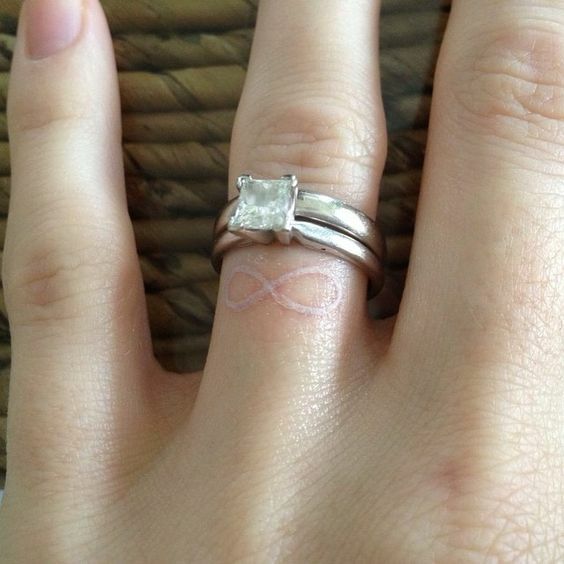 Adding a dainty infinity tattoo to an unexpected place, like the inside of your finger can be a great way to do this. 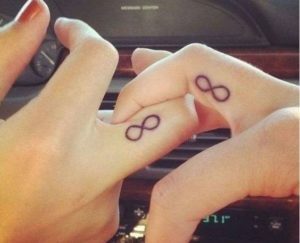 It’s also a fun way to get a matching tattoo with someone you love! A tiny reminder to the both of you. This is for the flower lovers. 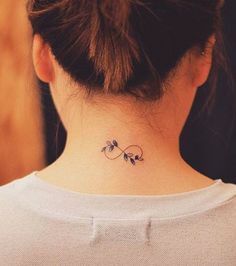 The infinity symbol is a great foundation to build upon, even when you want to add a more elaborate design to your tattoo. Flowers can be representative of many meanings, it’s also a cute way to add some color to your design. Free spirited at heart? 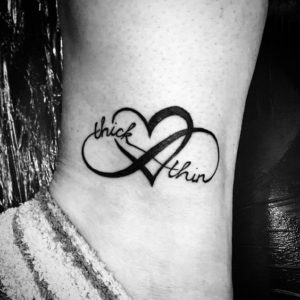 This tattoo reminds us to honor that about ourselves. Life is so short and it’s essential we don’t take life TOO seriously and allow ourselves to be free at heart to enjoy life. 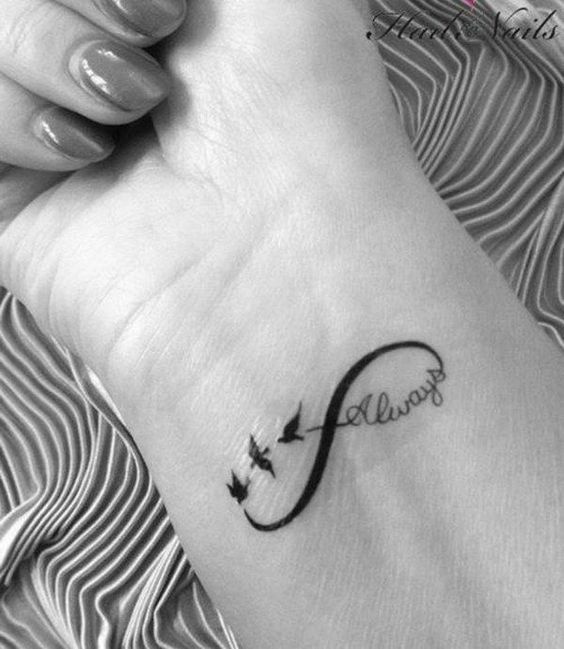 Two symbols that are simple in design but filled with powerful meanings. 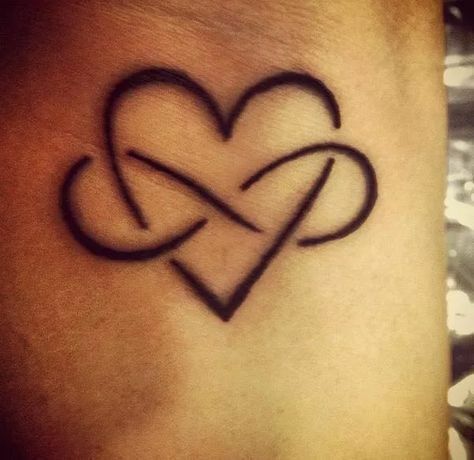 Combining a heart and infinity symbol in an intertwined way like this is a way to show our infinite love. 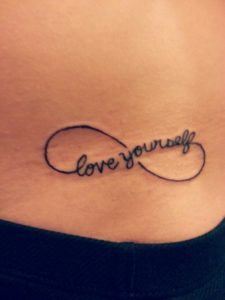 Remind yourself to love yourself and others forever. 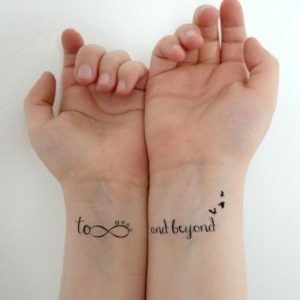 Customize your infinity tattoo without having full names incorporated into the design. 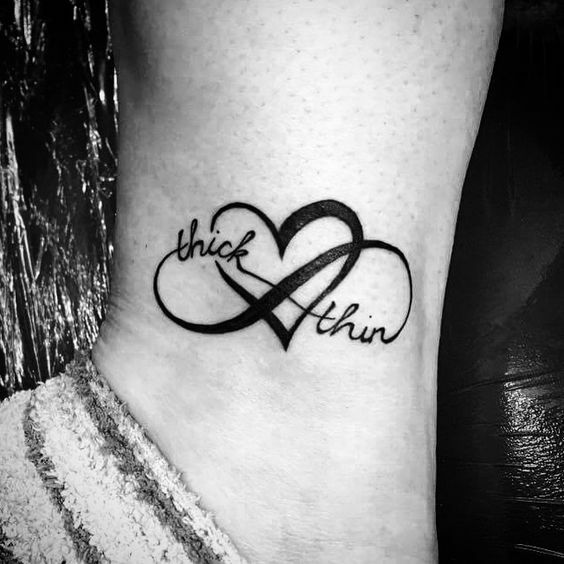 Adding initials of your loved ones shows your eternal love for them. Test out the design with a variety of different fonts to find one you like most. 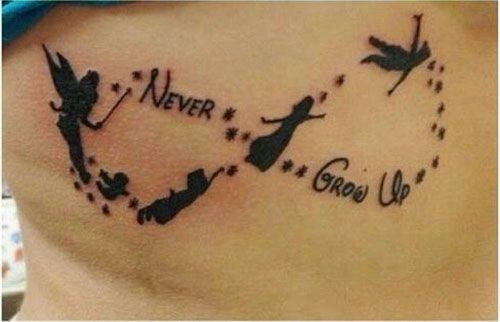 This is a great matching tattoo design, too. 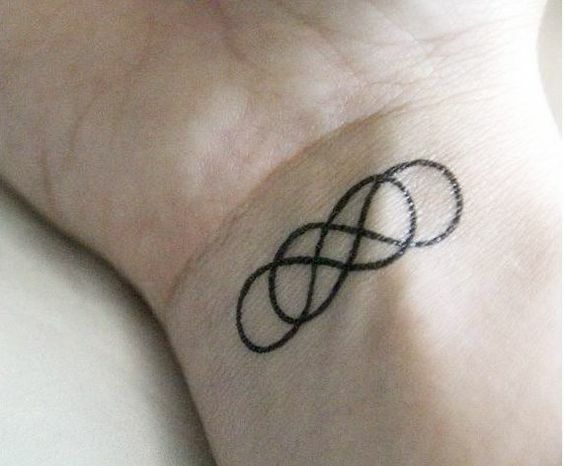 Layering infinity symbols creates such a stunning design. It’s simple but gives the illusion of multiple symbols combined to make an even more powerful statement. 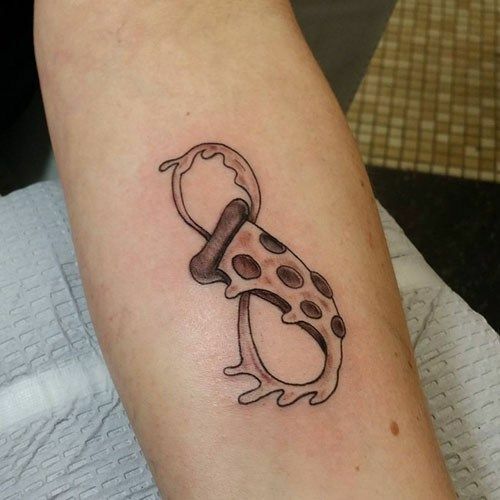 This design can be as small or large as you like, and looks great on different areas of the body. There are many plants and flowers that hold special meanings to different people. 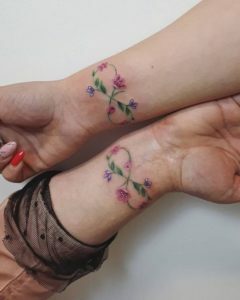 If there’s a particular type of plant or flower that resonates with you it can be added seamlessly to an infinity symbol to add to the depth of the design. It’s so important to always go back to this statement. 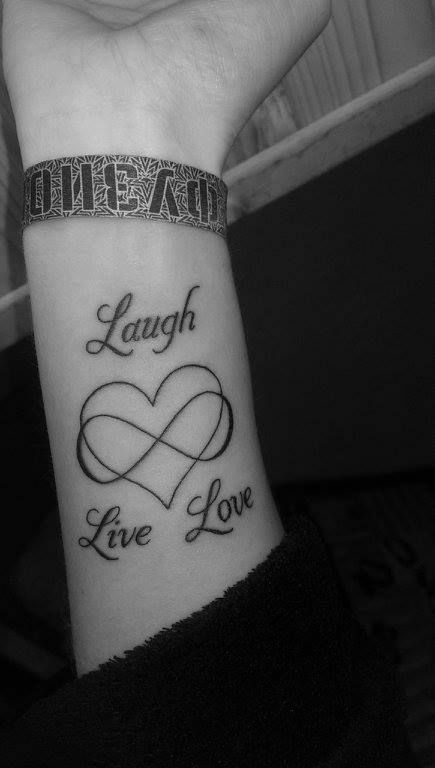 Live, laugh and love. It’s not just something we say or hear, it should be the way we are living our lives. This infinity symbol tattoo is a great way to always remember to live your life by this motto! 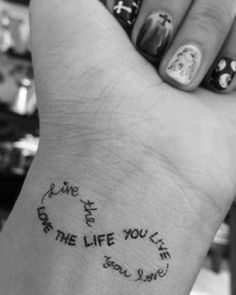 Remind yourself daily to always love the life you live and live a life you love. Life is short and we all get caught up in the stressors of life. This tattoo is a way to keep yourself in check and remember to love your life regardless of what’s going on. 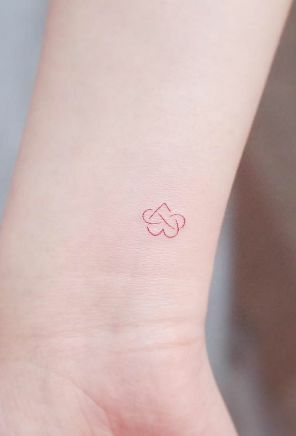 This design reminds us to love ourselves always. There’s always something going on in life but if we only focus on the negatives it’s easy to lose sight of who we are. Make sure you’re always going back to loving yourself for exactly who you are – there’s only one of you! Love…it’s a powerful feeling that can move mountains in our worlds. This design keeps us remembering to always lead with love. When we lead our lives with love, we will gain so much positivity. 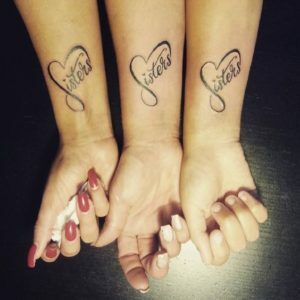 The perfect matching sister tattoo! Keep your sisters close to your heart and top of mind with a matching tattoo. 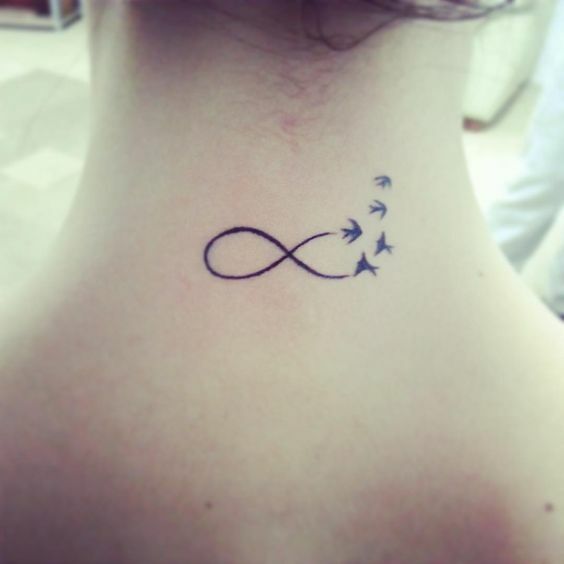 The incorporation of the infinity symbol adds infinite love for your sisters to the design. 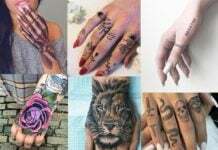 Choosing the perfect tattoo design isn’t something you have to rush into. 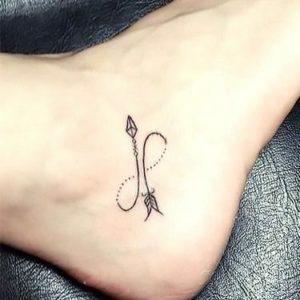 You really can get it anytime you’re ready which is why it’s so great to gain some inspiration and browse designs other people have done to help you decide for your own. The infinity symbol is a powerful choice if you are looking for something that holds special meaning. Traditionally the infinity symbol represents eternity and limitless. 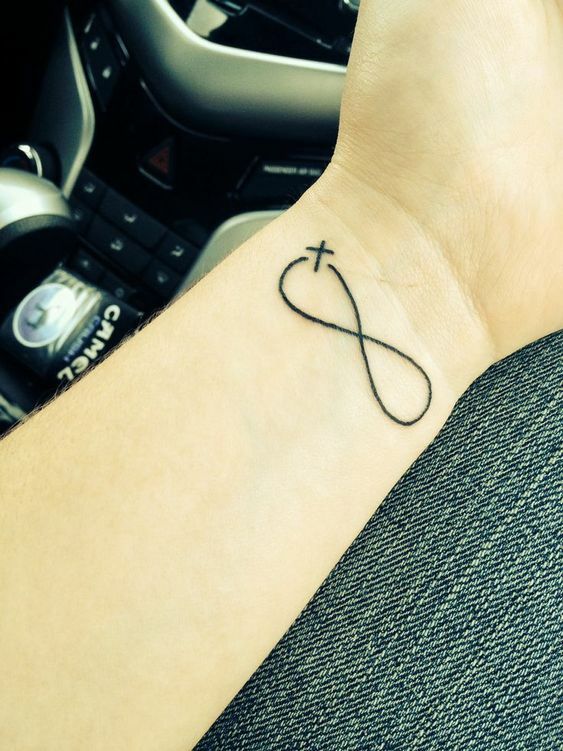 Symbols like this are a way you can honor a bigger meaning or concept in your life. 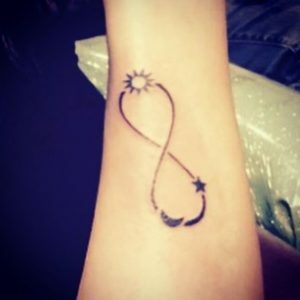 If you want a tattoo that encompasses all of the above an infinity design may be exactly what you’re looking for, if you didn’t already know this. 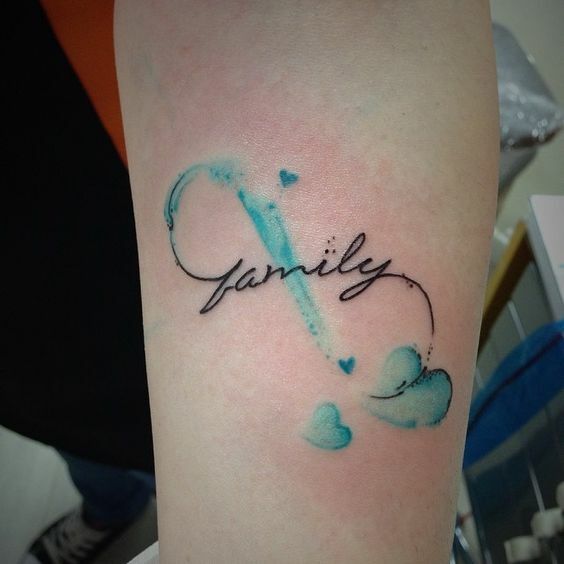 Since tattoos are incredibly personal, they are on your body, after all, adding your own touch into the design of a tattoo is crucial. 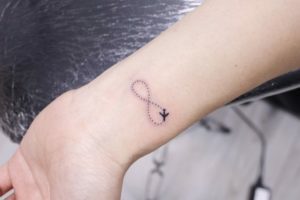 The infinity symbol is a great foundation to build upon and create a design that truly speaks to you, your personality and whatever it is you are eager to represent within the tattoo itself. You can have names, letters, colors and other symbols added to the infinity symbol – among other things. 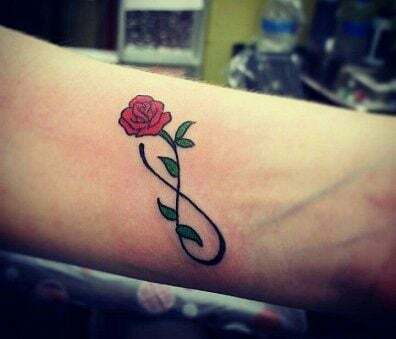 It’s a symbol that really allows you to have something with meaning in itself and build upon it for a customized tattoo. 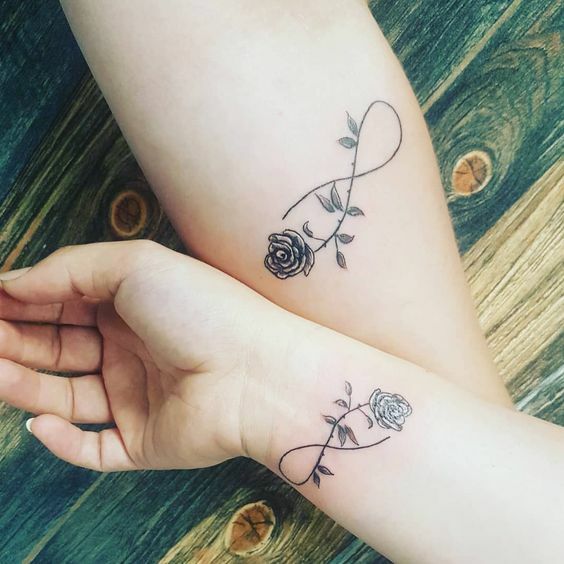 We hope some of these designs gave you some inspiration as you get ready to decide on a final design for your next tattoo. Remember you don’t have to rush the decision-making process! Take your time with it so you’re sure it’s exactly what you want. These infinity tattoo designs are all so beautiful and are sure to make a positive statement. With limitless options, it can sometimes be overwhelming to decide. Consider the ultimate meaning you want for yours and have fun designing!